Now that you have set up your qualification/s (outlined in this article), it's time to set up the qualification landing page. Set up the Key Information. 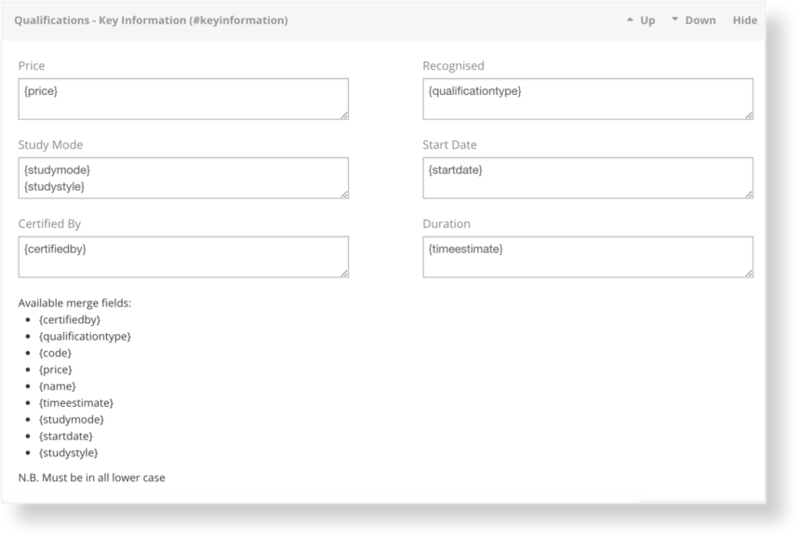 Note: For each field, you can include a merge field (which will pull data from the qualification page), or you can manually type in information into the fields. Add a title for the Institution Selling Points. Add a title for the FAQs. 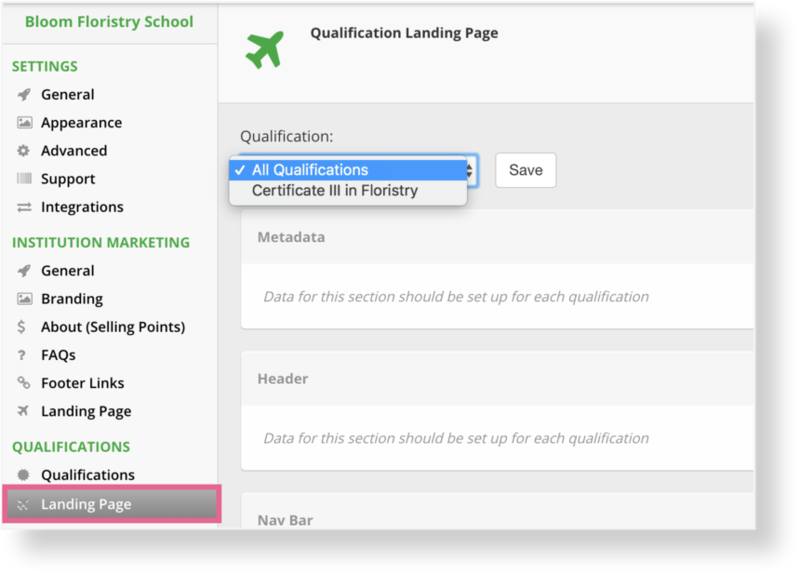 Toggle from All Qualifications in the dropdown, to the individual qualification you'd like to set up the landing page for. 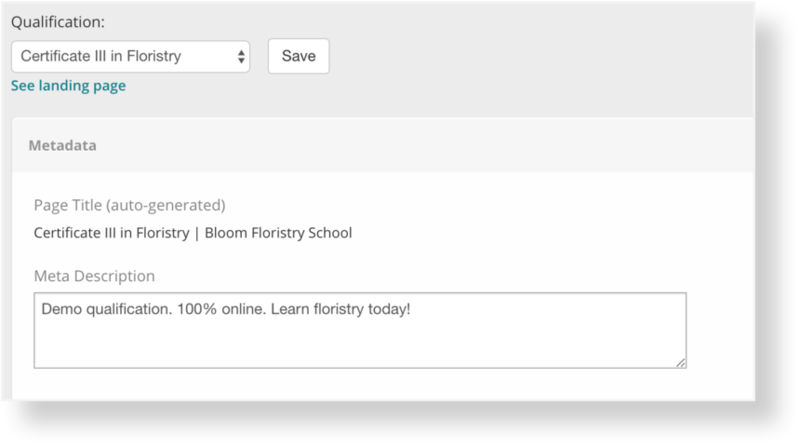 Fill in the Metadata information (if your portal is private you can leave this blank). Set up the Header. Certification logo image and logo label are optional. Add a video URL (optional). Add a rich text block (optional). 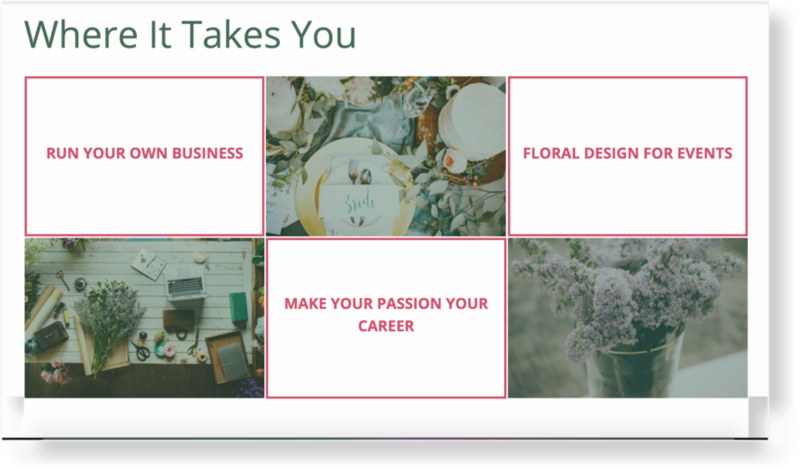 Add a Qualification Course List title and blurb. Add in Qualification Selling Points. You can customise the written copy, text colour and images and their sequencing. 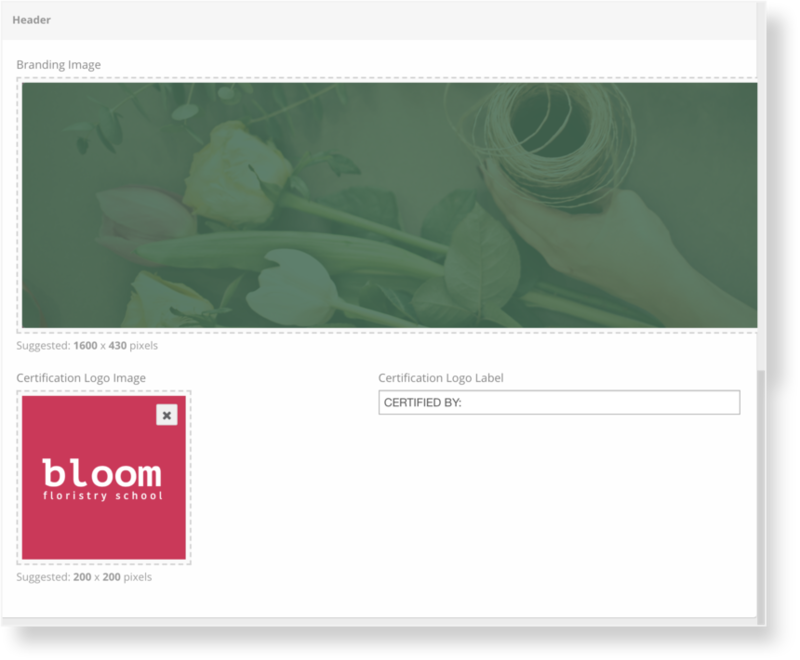 You can also have written text on images. 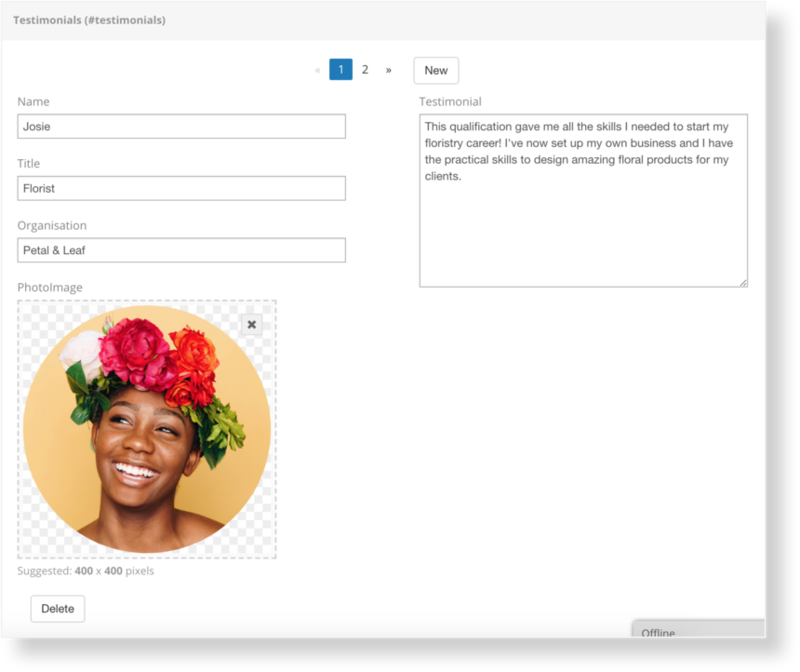 Add OpenLearning user profiles to Team Information (this might be the same as those on your portal homepage, or specific educators for the qualification). Add testimonials. 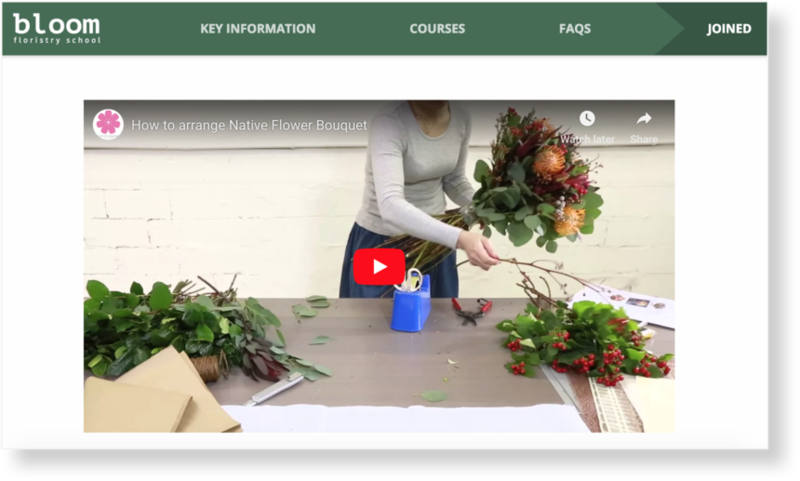 These might be the same as those on the portal homepage, or specific to the qualification. Click Save. 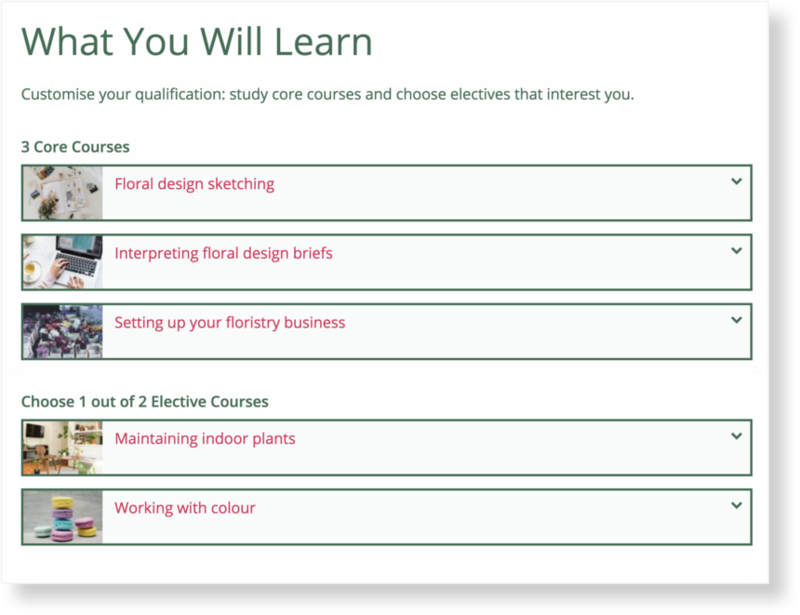 View your qualification from the portal page and make any additional changes to the layout and sections.